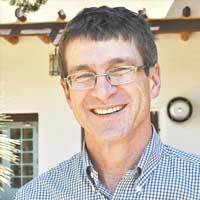 Dr. Richard L Wood teaches sociology and serves as senior vice provost at the University of New Mexico. In addition to his work within the department, Wood is the founding director of the UNM Southwest Institute on Religion, Culture and Society and serves as co-editor of Cambridge University Press' book series Cambridge Studies in Social Theory, Religion, and Politics. His recent book, A Shared Future: Faith-Based Organizing for Racial Equity and Ethical Democracy (University of Chicago, 2015), analyzes contemporary organizing for racial equity in the United States, particularly within organizations that include white, African-American, Latino, and other diverse participants building shared commitment to racial equality. His research explores religion, social movements, and global/transnational sociology, with a geographic emphasis in areas of Central America, namely Guatemala, El Salvador, and Honduras.